We were a lifelong tennis family. I loved teaching high school tennis and playing in USTA tennis leagues around the Cincinnati area. Both boys, Josh and Zack, were great high school tennis players and had wonderful college careers at Bethel College in Mishawaka, Indiana. Then in 2008, two local Brookville couples asked me to try this “new” sport called pickleball. Well, it was new to our area. So to keep the story short, I was hooked the first very day and soon after had our whole family playing. The Pickleball Rocks journey has been fun and interesting. In late 2008, I launched our first website, AllAboutPickleball.com, and became a paddle distributor for Pro-Lite Sports. In 2009, we were looking for ways to bring attention to pickleball in and around Brookville, Indiana. So in a brainstorming session, we came up with the phrase Pickleball Rocks. We believed this would lead to conversation about pickleball. We ironed the phrase on a few white cotton tshirts and began to wear them. Soon people were asking us where we got our shirts, so of course we found an answer. We trademarked the now famous phrase, Pickleball Rocks, and the apparel brand was launched. 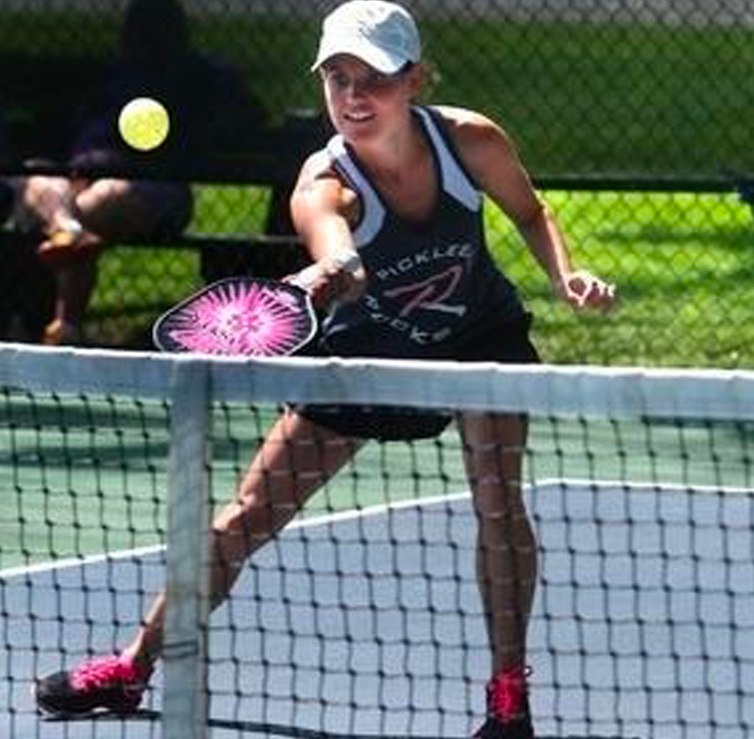 Today the Pickleball Rocks apparel line is the world’s largest pickleball apparel brand and is worn internationally with a portion of every sale going towards the growth of pickleball. We have traveled the world playing in tournaments, vending at tournaments, conducting clinics, and preaching the pickleball gospel. We have developed numerous programs to help people grow this great sport. Recently, it became apparent that we could not do it alone so we added a person many claim is the best pickleball ambassador on the planet. Stephanie Lane was added to the team to help every pickleball club with their club shirt needs and all tournament directors with their tournament shirts. We are now excited to add her daughter, LeEllen Lane as the director of the fun Pickleball Rocks Club. In November 2018 Mindy Yoder joined the team as our National Events and Team Building Coordinator for the Pickleball Rocks Training and Fun Academy located in Fort Wayne. Then in early 2019, in keeping with our mission to grow pickleball for all ages and all skill levels, we added Cam Thompson and Jason Neuenschwander as Pickleball Rocks Academy youth coaches and training specialists. And thus our family and youth clinics took off. So as we continue to create new programs and reach out to help communities grow this sport, we want to thank you for helping us. We see each one of you as friends and part of our Pickleball Rocks team. May all your days be filled with good health, much love, and lot and lots of pickleball. Rodney “Rocket” Grubbs is a USAPA rated 5.0 player and has been playing pickleball for over 8 years, and has medaled in many sanctioned tournaments including Gold medals in the 2017 Spanish Open, the 2018 Italian Open, The Duel in the Desert in Casa Grande, The Happy Trails Classic, The Pebble Creek Classic and numerous USAPA Regional tournaments. Rocket is the USAPA Ambassador for Southeast Indiana, but travels the country promoting the growth of pickleball through his company and world famous apparel brand, Pickleball Rocks (www.PickleballRocks.com). Rocket has taught all levels of pickleball in places such as Camargo and Hyde Park Country Clubs in Cincinnati, Ohio, all the way south to Jensen Beach Resort on the Florida Atlantic coast, the mountains of North Georgia and East Naples Park in Naples, Florida. 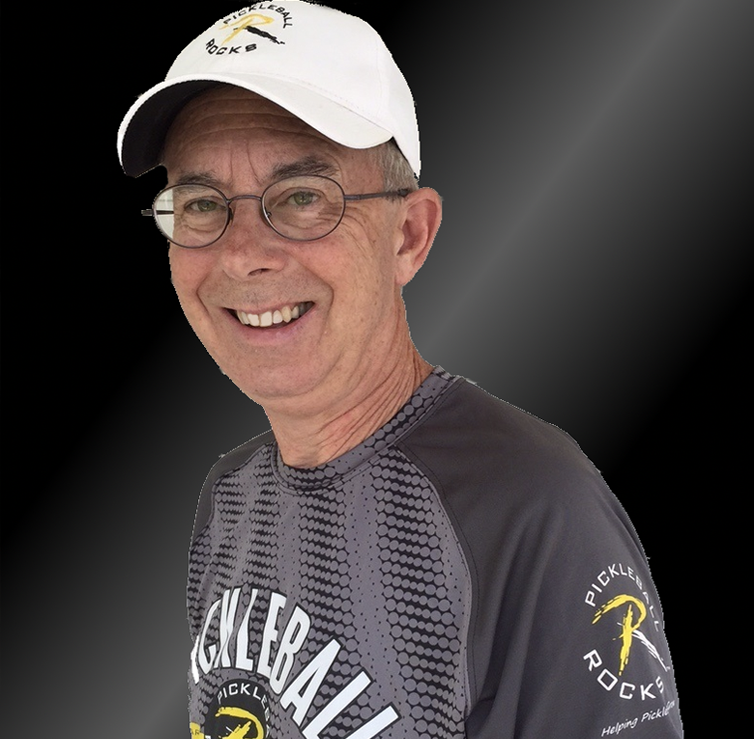 Rocket is a member of the PPR (Professional Pickleball Registry) and a certified coach through the International Pickleball Teaching Professionals Association. He is also director of the Coaches Certification Training and Testing Center for Southern Indiana. Coming from a background as the all-time leading doubles tennis winner in Bethel College history, Josh began his pickleball career over 8 years ago at the 5.0 level. Josh is a past Canadian National Open Mixed Doubles champion as well as a multi medal winner at the famous Grand Canyon State Games, The Gamma Classic of Pittsburgh, and many USAPA Regional tournaments. 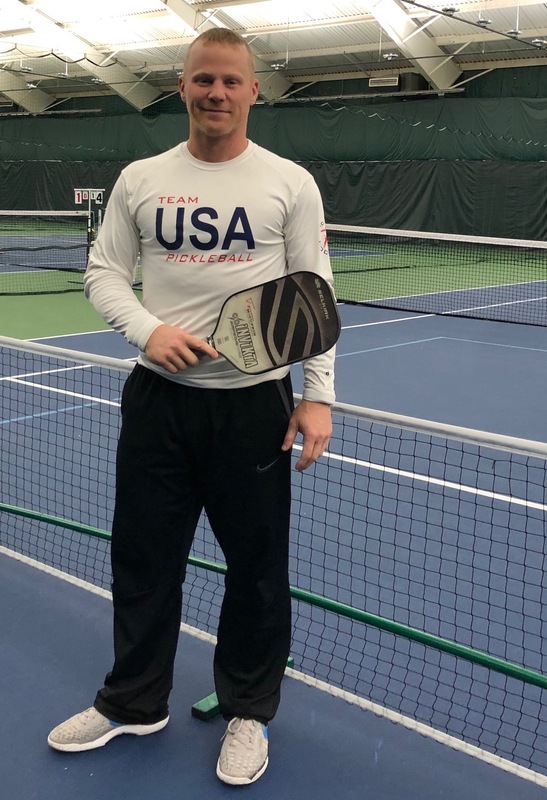 Josh is a member of the PPR (Professional Pickleball Registry) and the Director Of Training for the Pickleball Rocks Training Academy in Fort Wayne, Indiana. He is a certified coach through the International Pickleball Teaching Professionals Association and is also director of the Coaches Certification Training and Testing Center for Northern Indiana. When not playing pickleball, Josh coaches high school tennis at Leo High School, where he recently coached his number one boys doubles team to an Indiana state high school championship, and enjoys time with his pickleball playing wife Abby and their two boys, Brandon and Jordan. Zack has been playing pickleball for over 8 years and, like his brother, began at the 5.0 level. Zack is highly decorated in both singles and doubles, having medaled in many USAPA Regional tournaments as well as the Grand Canyon State Games and the Michigan State Games. 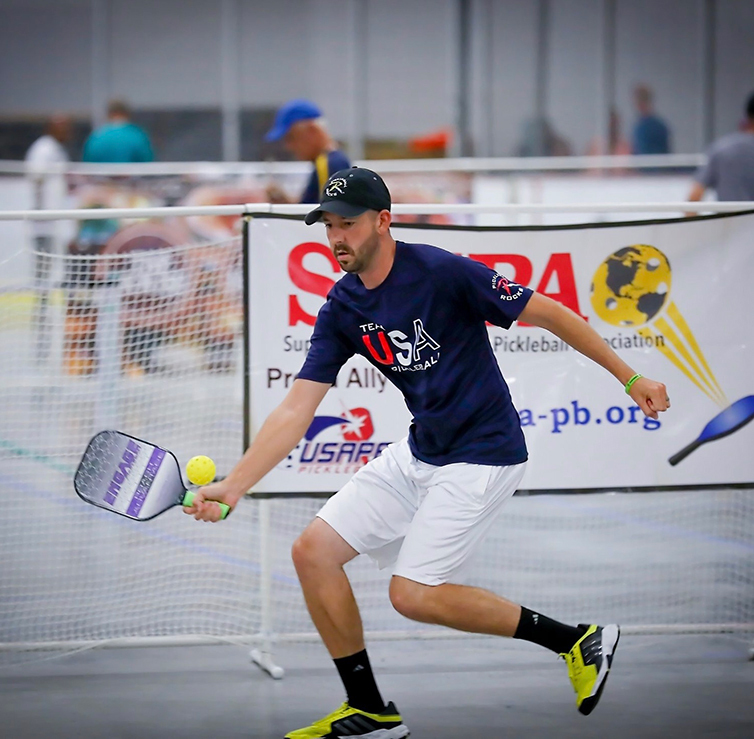 Zack is co-director of the International Pickleball Teaching Professional Association training/coaching center for Northern Indiana, a PPR (Professional Pickleball Registry) member and a certified pickleball coach through the IPTPA. Zack enjoys coaching all levels of pickleball and spending down time with his wife Amy and Morkie pup Foster. 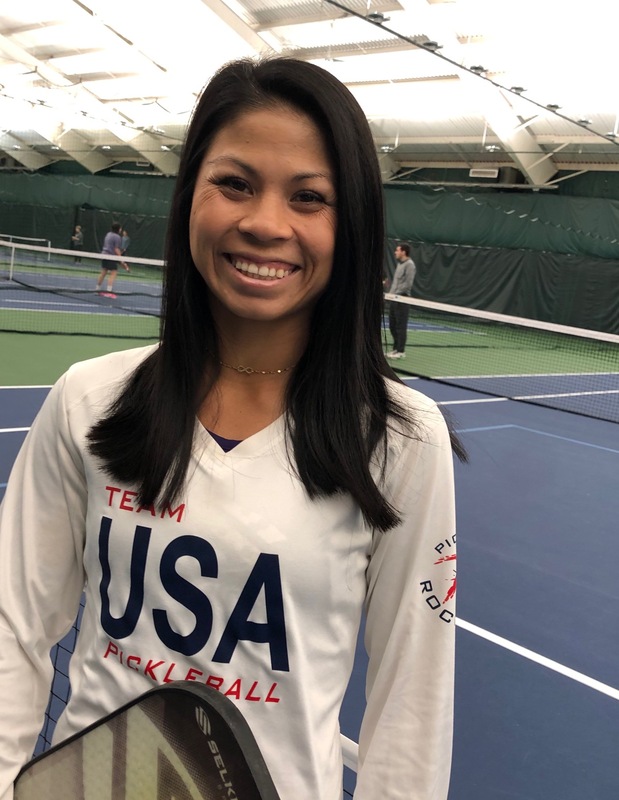 Abby comes to the sport of pickleball from a very different background as she is a Hall of Fame basketball player from Bethel College in Mishawaka, Indiana. Abby is a USAPA rated 4.5 player with a wall full of Mixed Doubles Medals with her spouse Josh. People that see her play, marvel at the quickness of her hands and her ability to dink an opponent off the court. Abby is National Director of The Pickleball Mile Club (www.PickleballMile.com) which encourages people to exercise through playing pickleball. She enjoys spending her non-pickleball time coaching ladies with the nutriional and exercise needs and raising two of the cutest pickleball players on the planet, sons Brandon and Jordan. Stephanie is the National Sales Director for the Pickleball Club Wear division of Pickleball Rocks. 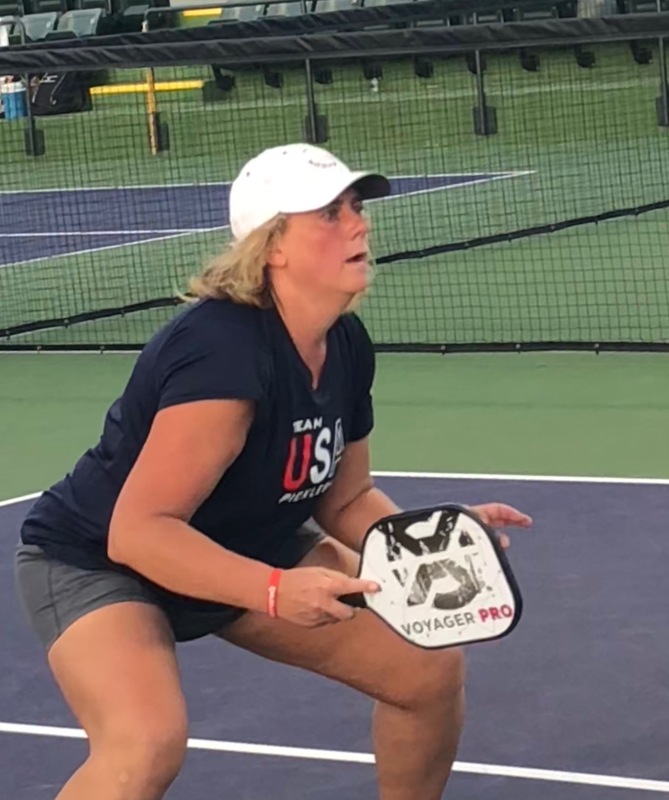 Stephanie is one of the most recognized pickleball players in the world, as she has followed her Hall of Fame college tennis career with medaling in all the largest pickleball tournaments, most recently bringing home gold medals from the 2017 USAPA Nationals and 2017 US Open Championships. Stephanie is a certified International Pickleball Teaching Professionals Association instructor and serves on the IPTPA Founding committee. Stephanie is a full-time physical education teacher with over 25 years of experience. She and Andy, her husband of over 25 years, reside in Nashville, Tennessee and have a daughter and fellow pickleball player, LeEllen. 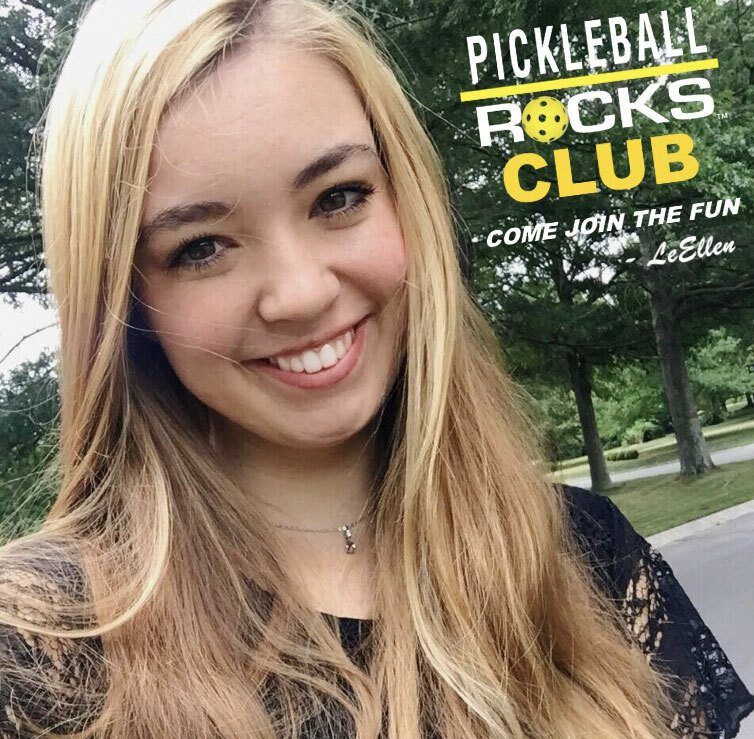 LeEllen is the newest member of the Pickleball Rocks team and is National Director of The Pickleball Rocks Club, our fun program for pickleball players of all ages. LeEllen is one of pickleball’s up and coming stars and has been playing pickleball for over 5 years. 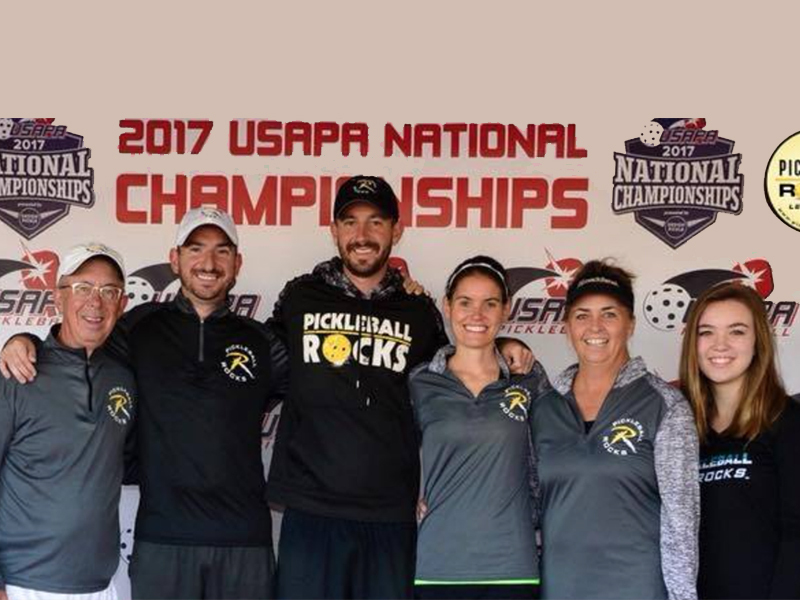 Cam is an IPTPA certified pickleball coach and works within the Pickleball Rocks Academy as a coach and training specialist. She works with players of all ages and all skill levels, but her specialty is helping kids, age 6-17, learn and enjoy the sport of pickleball. Cam grew up in the Midwest playing competitive junior tennis, played collegiately at Butler University, and brings 10 years of coaching experience working with players aged 3 years to adults. Standing at 4’11”, she often blends in with the children she coaches, which is one of the many reasons kids adore her and her cheerful enthusiasm on and off the court. Cam’s petite stature often leaves her overlooked on the court, until the game starts and her opponents quickly realize hitting to her is not generally a great option. 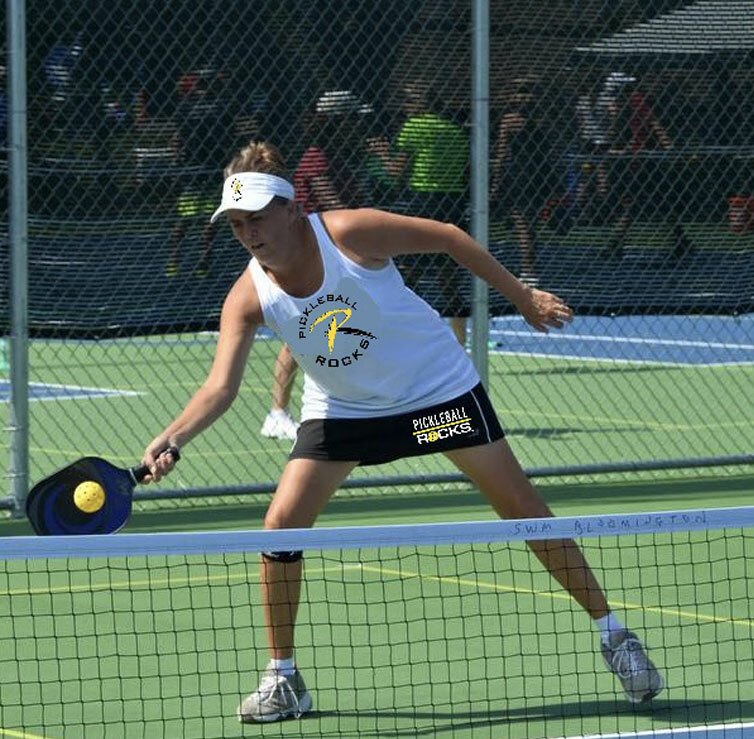 She is quickly melding her years of tennis training and fundamentals into lighting up the pickleball circuit around the country. Cam also works at Indiana University School of Medicine, where she coordinates a multi-site national Parkinson’s disease research initiative. She has an enormous heart when it comes to working with young children and the aging population, alike, and is a perfect fit for the Pickleball Rocks Academy family division. Mindy is our National Events and Team Building Coordinator. Mindy is an IPTPA Certified pickleball instructor and one of the fastest up and coming players in the country. She is responsible for creating events and experiences for players through our many pickleball-growing programs, including the Pickleball Rocks Training Academy, the Pickleball Rocks Club and the Pickleball Rocks Kids Academy. Mindy is also the Dean of the School of Health Sciences at a local Fort Wayne University and lives in Fort Wayne with her husband Todd and three children Caleb, Aaron and Chloe. 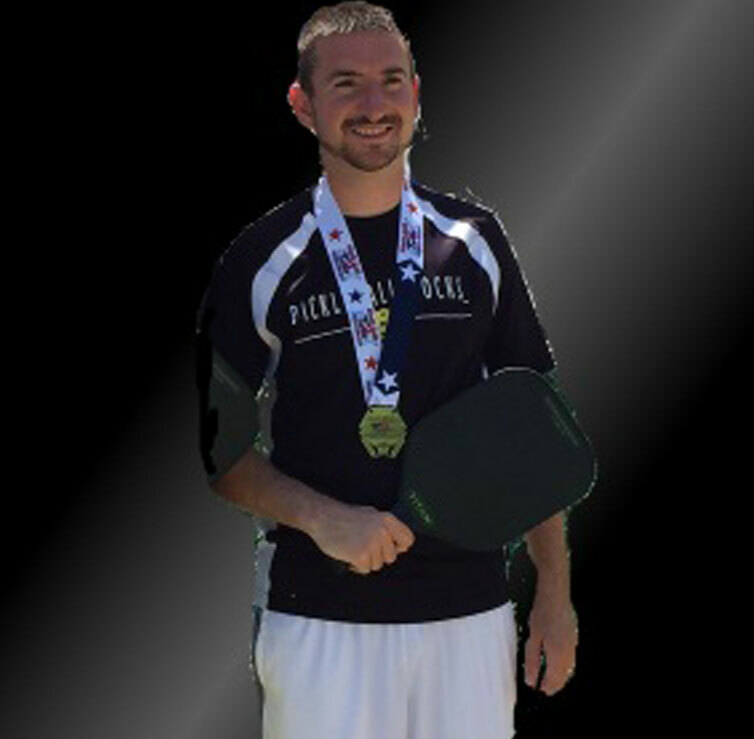 Jason joins the Pickleball Rocks Team as a coach and training specialist within the Pickleball Rocks Training Academy. Jason is IPTPA certified, and works with players of all ages and all levels. His primary focus is on growing the Pickleball Rocks Academy family division with young players aged 6 – 17 and their parents and grandparents. Jason joined the pickleball scene just over two years ago with little racquet sports background, having played college football, then USAV volleyball. After a very brief USTA mixed doubles tennis stint, he developed tennis elbow and was quickly introduced to pickleball. Like many of us, he fell in love with the sport, community and constant court banter, so he began traveling across the country to coaching clinics and tournaments. Jason is a 4.5 USAPA rated player and has medaled in multiple regional and national tournaments including winning the 2018 US Open and finishing as runner up at 2017 Nationals. Jason loves working with children and is a perfect fit in the Pickleball Rocks Training Family division. When not on the court, which is rare, he loves spending time with his wife, Jennifer, and their five children: Braxton (age 10 and a pickleball tournament player), Asher (8 and a player), Deker (5 and a player), Nasya (3), & Eliana (1).